i hope you like. thanks. @RBfonts thanks for the information. I will fix it. Copyright (c) 2018 Chabitta by Farul Arjianto. All rights reserved. Version 1.0 For personal use only. Never use fonts in commercial works. Please buy a license if you like this typeface if you plan to use it commercially. 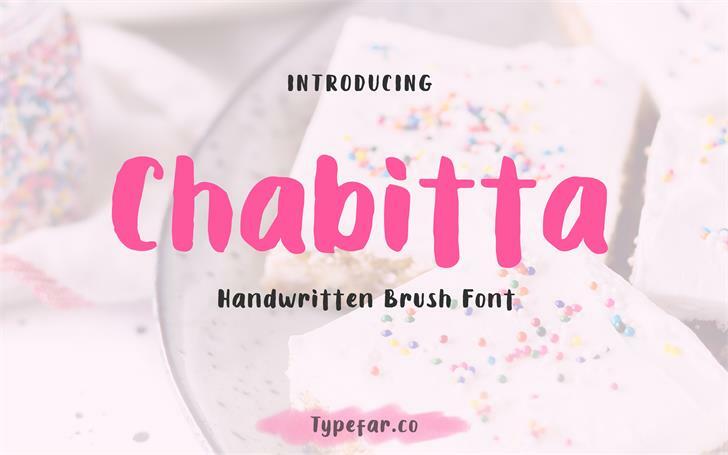 Chabitta is a trademark of Farul Arjianto.